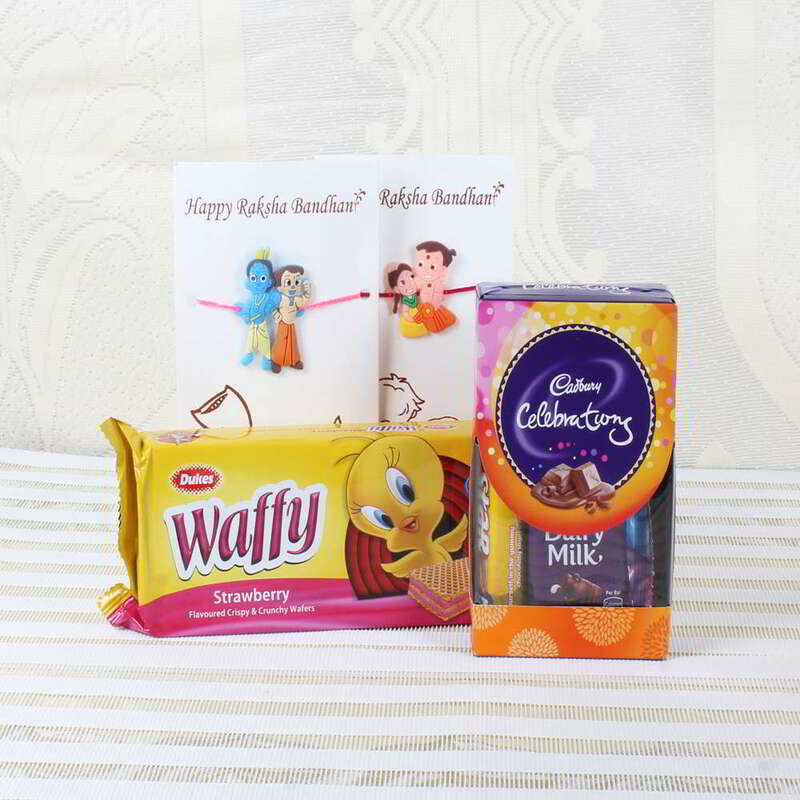 Product Consists: Dukes Waffy Pack (Weight: 75 Gms) with Cadbury Celebration Pack (Weight: 63 Gms) along with Krishna Bim & Radha Bim Rakhis. 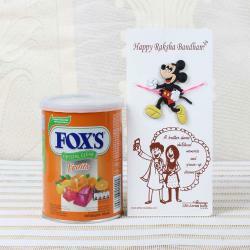 On the auspicious eve of Raksha Bandhan gift your dear brother a pack full of goodies and pair of Krishna Bheem and Radha Bheem Rakhi set as a token of your love. 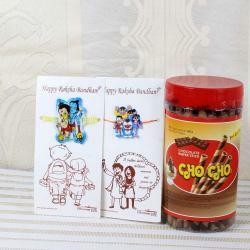 The combo also includes Dukes Waffy pack along with Cadbury celebration pack which is all time favorite of kids. 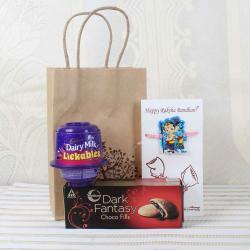 This kids special pack will make them feel happy and excited also will make them understand the importance of the ritual. The overall look of the combo is very lovable which will be cherished by the kids for long. Send this special combo and bring a smile on their faces. Product Consists: Dukes Waffy Pack (Weight: 75 Gms) with Cadbury Celebration Pack (Weight: 63 Gms) along with Krishna Bheem & Radha Bheem Rakhis.